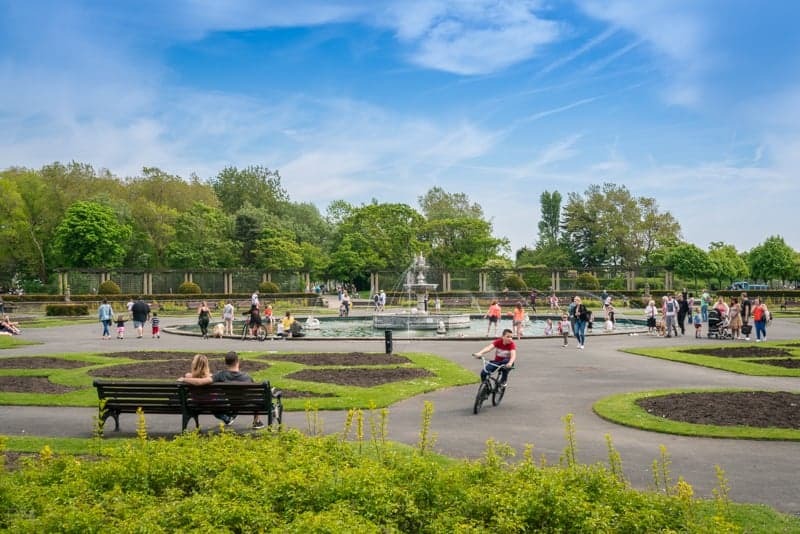 Located a mile inland from Blackpool’s bustling seafront, Stanley Park covers 104 hectares. 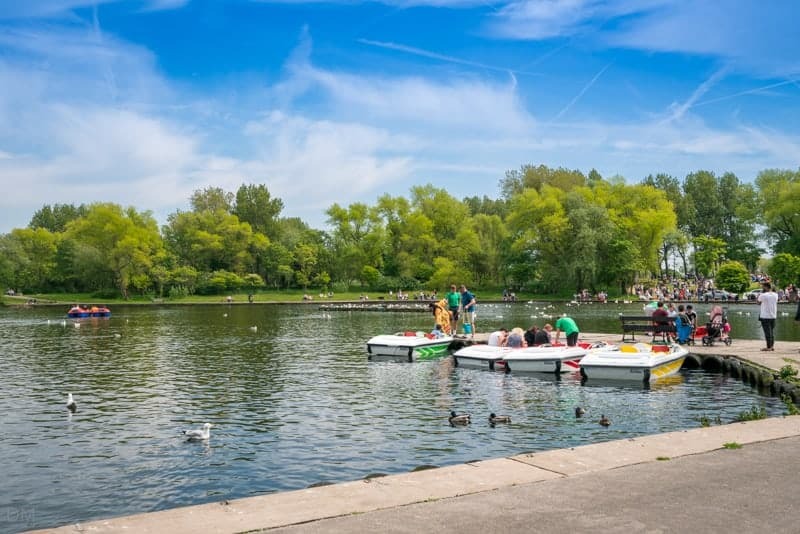 It is one of the largest municipal parks in North West England. 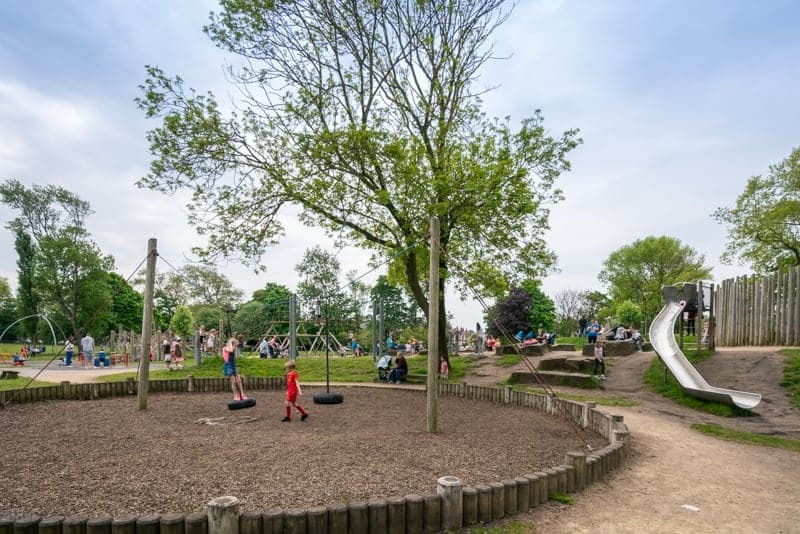 The park offers plenty of activities and facilities for families and children. 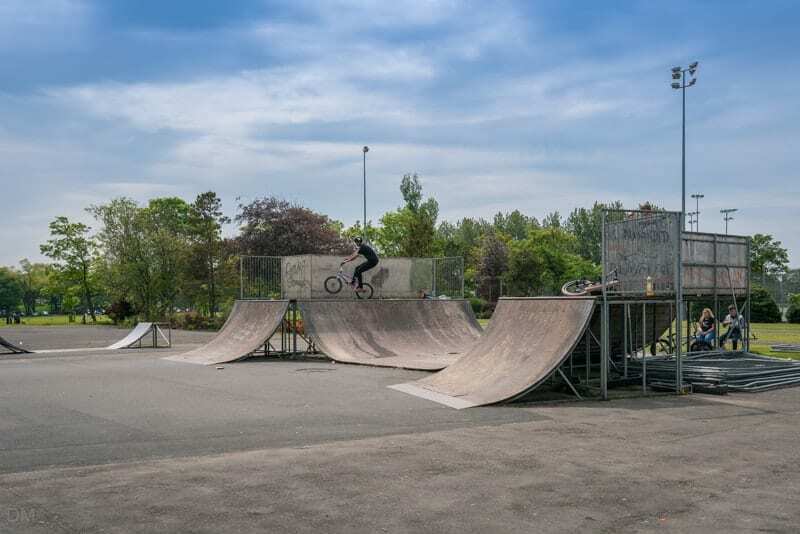 They include a BMX track, skate park, bowling greens, children’s playground, pitch and putt, a boating lake, and tennis courts. Stanley Park was designed by landscape architect Thomas Mawson and opened in 1916. It is named after Frederick Stanley, the 16th Earl of Derby and MP for Blackpool in the late 19th century. Stanley Park’s historic Art Deco Cafe opened in 1937 and still retains many of its original features. It is situated in the centre of the park, close to the public car park and Visitor Centre. The café is fully licensed and offers a good selection of drinks (including wine and beer), and hot and cold food (breakfasts, sandwiches, salads, toasted sandwiches, jacket potatoes etc.). An outdoor seating area provides excellent views of the beautiful Italian Garden. The Stanley Park Golf Course is an 18-hole, 6048 yard course at the northern end of Stanley Park. It opened in 1925 and was designed by famous golf course architect Dr Alister MacKenzie (designer of the Augusta National). The course is a municipal pay and play facility with a relaxed dress code. Facilities at the clubhouse include a bar and restaurant. Stanley Park also offers a pitch-and-putt golf course. The circular Italian Garden is the centrepiece of the park. At its centre is a large lily pond with fountain and statues of seahorses. It is surrounded with pergolas built from stone columns and timber beams. 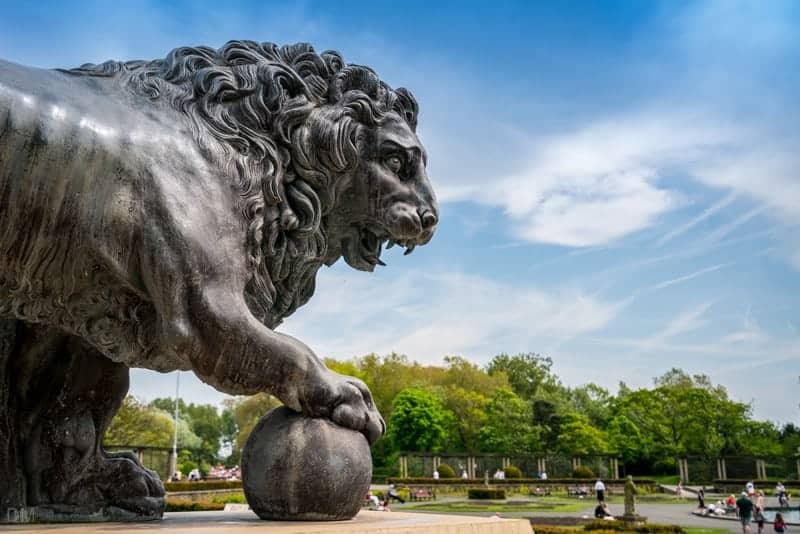 A pair of 18th century lion statues stands at the northern entrance to the Italian Garden. They are copies of the statues found at the Villa Medici in Rome. They were donated to the park in 1926 by Bolton brewing company Magee, Marshall and Co. The park’s 22 acre Boating Lake is situated just east of the Italian Garden. At the centre of the lake is an island linked to the shore by two ornamental bridges. It is an important habitat for a number of waterfowl such as Mallard Ducks, Canada Geese, Mute Swans, Coots, and Grey Herons. Boats can be hired from the boat stage on the western side of the lake. Motor boats, rowing boats, pedal boats, and bumper boats are available. The areas of woodland around the lake are home to a variety of birds (Chaffinch, Blackbird, Wood Pigeons etc), mammals (Grey Squirrels, Wood Mice, Foxes, Weasels etc. ), and trees (Common Oak, Cherry, and Silver Birch). The Bandstand lies on the southern side of the lake. It was built in 1829 and offers an amphitheatre that can accommodate 3,000 spectators. 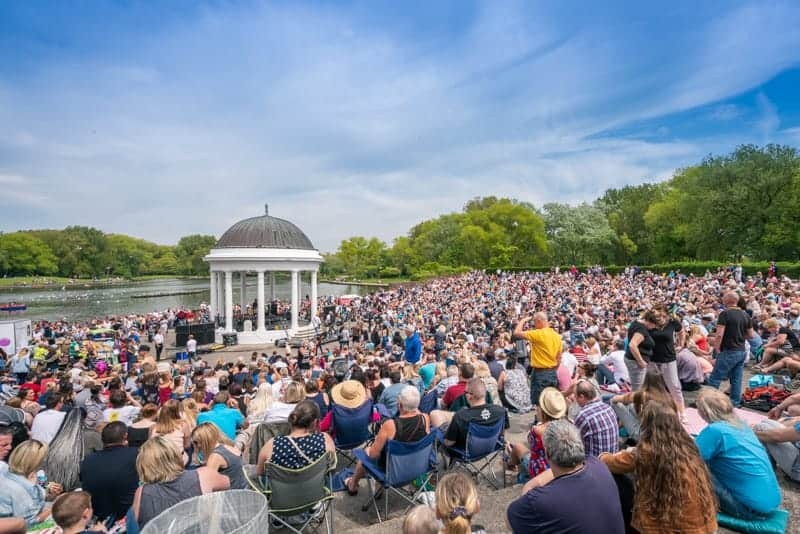 The Bandstand has an active events programme that includes performances from brass bands, rock and pop groups, opera and more. For further details visit the Friends of Stanley Park website. This formal sunken garden is set around 2 lily ponds and is located next to the main entrance. 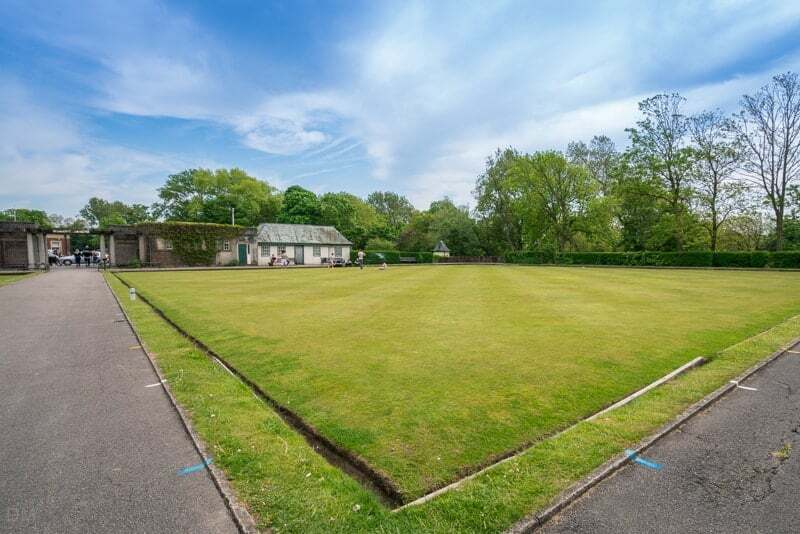 There are six bowling greens at Stanley Park; four crown and two flat. 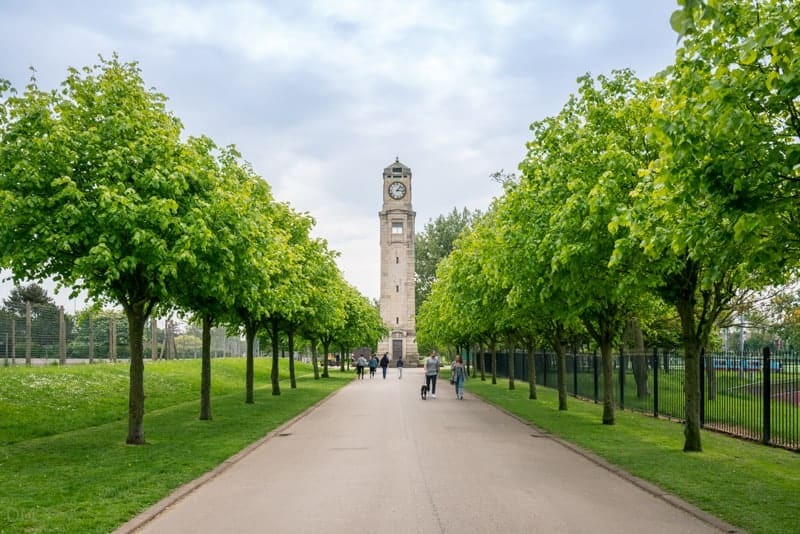 The 85 ft Portland Stone clock tower stands on the path running south from the Italian Garden. It was built in 1927 and named after the town’s first mayor Dr William Cocker. Blackpool Sport Centre is the town’s sports and leisure centre. Facilities here include a gym and fitness studio, all-weather pitches (football, hockey, etc. 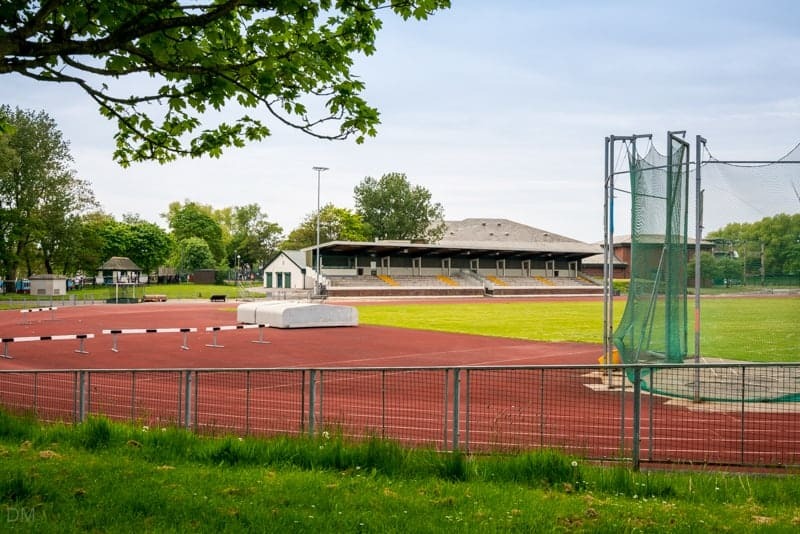 ), sports arena with running track, an indoor climbing wall and bouldering room, and netball courts. Blackpool Cricket Club is based at a 5,000 capacity cricket ground on the western side of Stanley Park. Every year the club hosts a popular bonfire night fireworks display. The children’s play area is located at the southern end of the park. There’s an ice cream kiosk near the entrance. 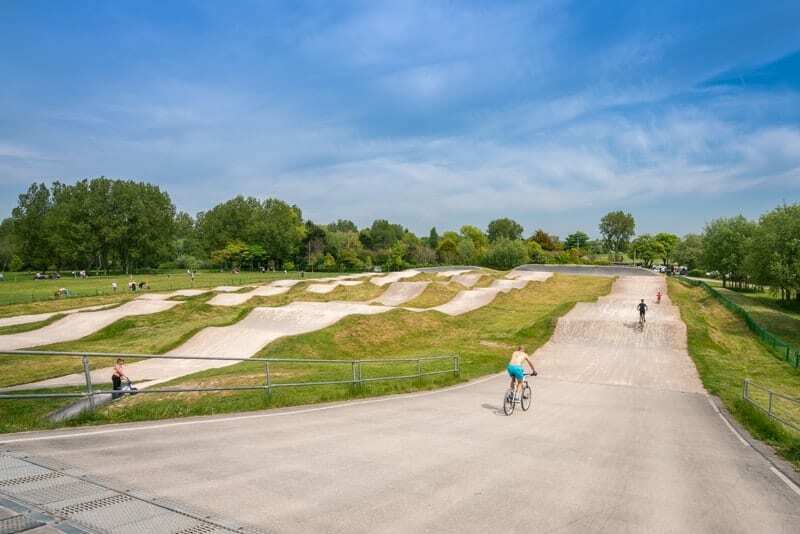 A BMX track, built to national competition standards, opened in 2011. Blackpool BMX Club are based here and hold sessions throughout the week. A Skate Park is located at the southern end of the park. There are 16 tennis courts; 8 grass and 8 hard. 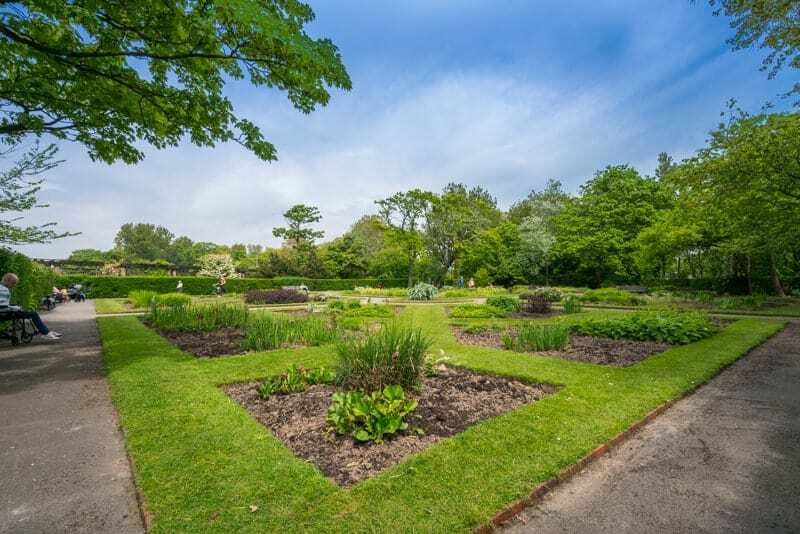 This peaceful garden honours the Fylde soldiers who lost their lives in WWI and WWII. It is located between the Italian Garden and Cocker Tower. The Blackpool Model Village is a private attraction set in 2.5 acres of attractive gardens. Staff at the Visitor Centre can help with enquiries about the park. Leaflets giving information about events, concerts, and walks are also available. The Visitor Centre is located in the centre of the park, close to the Art Deco Cafe. Stanley Park is open daily throughout the year. 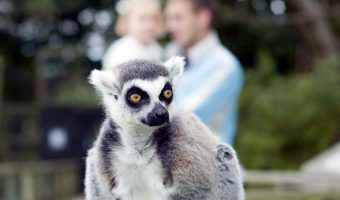 Blackpool Zoo is situated to the east of the park, on the site of the old Stanley Park Aerodrome. Stanley Park is located east of Blackpool town centre, next to Blackpool Victoria Hospital. It is well signposted. There are numerous entrances to the park. 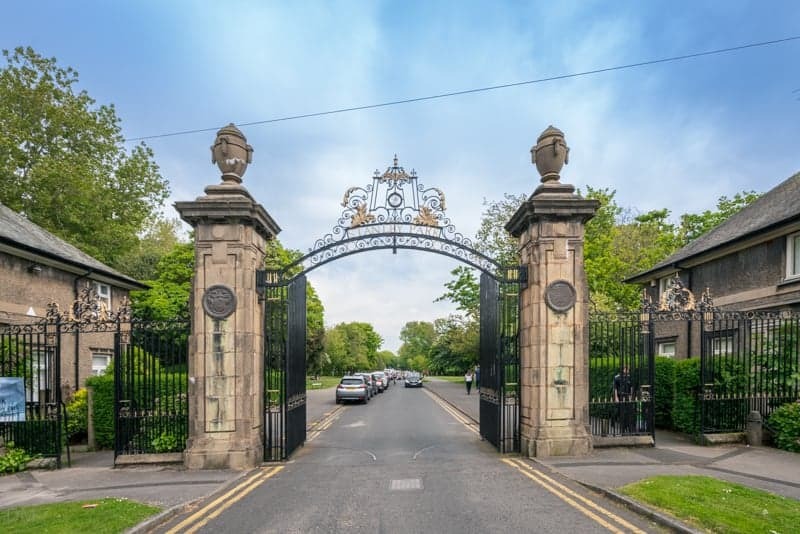 The main entrance at the junction of West Park Drive and North Park Drive is the only one offering vehicular access to the free car park. To find the main entrance with a sat nav use the postcode FY3 9HU. If the car park is full, it should be noted that there is free car parking on many of the nearby streets. Map showing location of Stanley Park. Great park. The live music concerts on Sundays are a great way to spend a day. Free as well. Beautiful park. Total contrast from the loud and gaudy town centre and promenade areas. 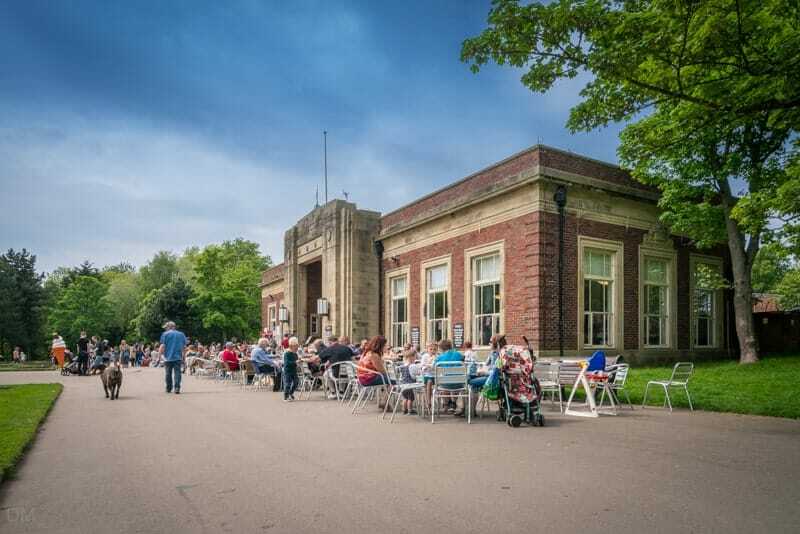 We recently visited Stanley Park after many years and were thrilled to go back in the cafe. The icing on the cake was listening to the wonderful Bill Barrow Band with the delightful jazz singer Lynn Fox. Beautiful. I like taking my kids to the rose garden. Great place to visit, across the road from the zoo. The kids will love it. We took a walk to the park from the centre of Blackpool one day. Beautiful colourful Italian gardens. The putting green and boats were very good value for money. Wildlife too! I took a motor boat for a 20 minute hire and it was peaceful, quiet and cheap. The staff were very kind and caring. The boats are a must. Stanley Park is a great place to escape the hustle and bustle of Blackpool. We go there all the time. It’s a great place to soak up the sun (when it’s out) and relax. It is a lovely place to go. The art deco cafe holds jazz on Sundays! I took my mum there for Mothers Day. Quite suprising to find such a peaceful place in Blackpool. My wife and I enjoyed our afternoon stroll here. Great zoo near Stanley Park.